In the 1980s, herb growers revived the hypertufa pots because they were pretty in an herb garden and were comparable to clay in drainage and breathability. Hypertufa flower pots are lightweight and durable if properly fabricated and cured. Pictures are symbolic. We reserve the right to change prices, manufacturing process, quantities and other details. coming soon. In 1824, Joseph Aspdin of England invented Portland cement. Gardeners began to make their own versions of tufa rocks out of cement and moss and called it hypertufa. 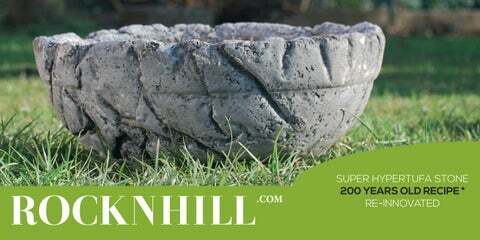 Rocknhill has reinvented the process of creating hypertufa flower pots and established the first SI - EU manufactury which is using an almost 200 year old recipe. Recommendation: Creating hypertufa flower pots is a very messy process and we do not recommend doing it at home. 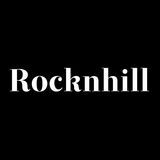 For your comfort we have established a new website rocknhill.com. WE USE ONLY EU MATERIALS AND PRODUCE PRODUCTS IN EU.